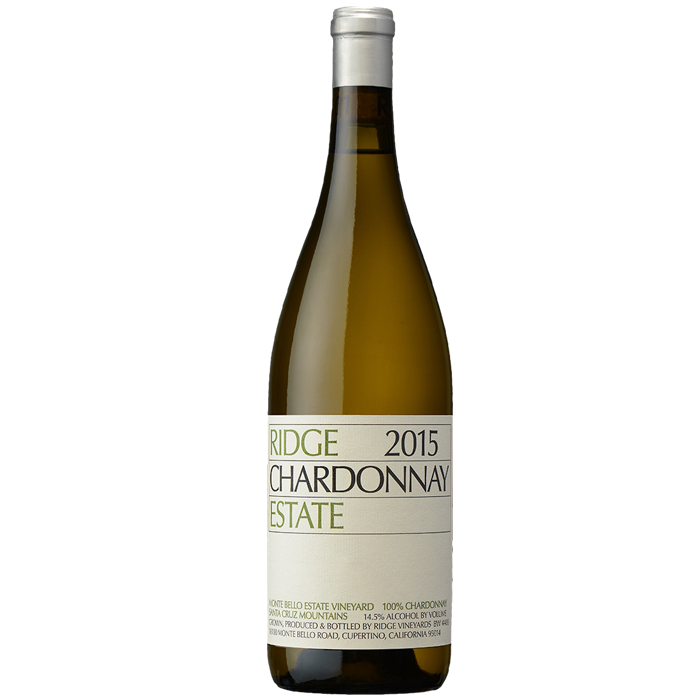 Starting with the two Chardonnays, Ridge's 2015 Chardonnay Estate is slightly deeper in color than the Monte Bello release and offers a White Burgundy-like bouquet of stone fruits, toasted spice, crushed rock and addition toasty nuances. It's rich, textured, has bright acidity, and needs 2-3 years of cellaring. There’s 1,700 cases of this beauty and it’s much more approachable today than the Monte Bello cuvee. Minerally and intense, with plenty of buttery notes, this well-spiced version pivots around a core of baked apple and pear tart flavors. Fresh and juicy midpalate, followed by a finish loaded with dried fig accents. Drink now through 2022. 1,711 cases made. The 2015 Chardonnay Estate is excellent, wafting from the glass with notes of pear, ripe apple and white flowers, framed by a delicate touch of new oak. On the palate, it's medium to full-bodied, textural and expansive, with bright acids, excellent concentration and a long, tangy finish. Yields this year were some 35% below average, and the wine attained 14.5% alcohol; it spent 11 months in largely once used barrels and the following five in neutral oak before bottling without fining or filtration.